Hello lovelies, thank you so much for stopping by. 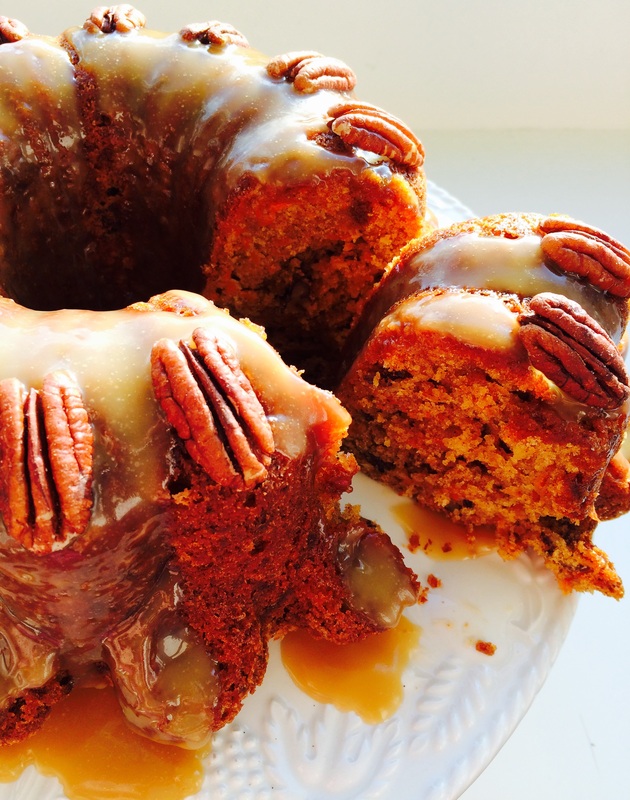 I have a real treat for you today, in the form of my Crazy Caramel Carrot Cake. Crazy Caramel Carrot Cake incredibly delicious. There is a reason for this particular cake’s title. 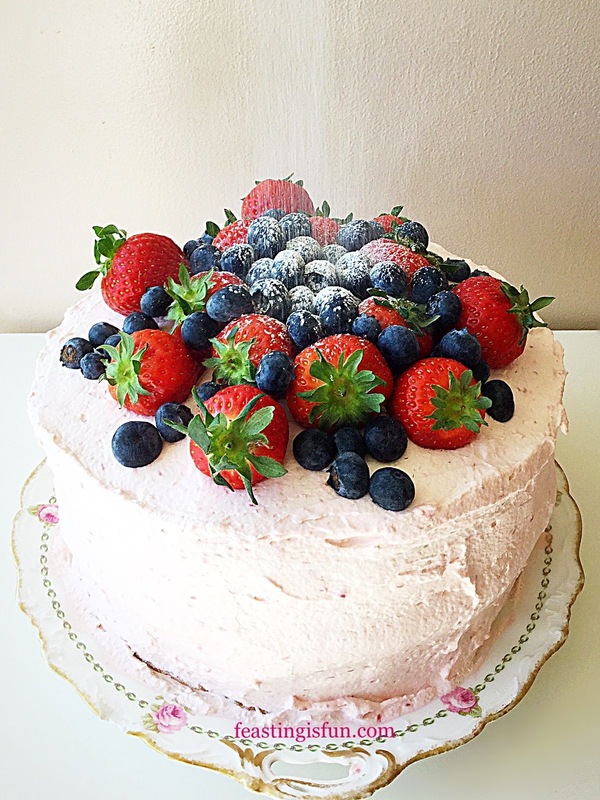 I was absolutely CRAZY for attempting to make this cake last Sunday. If you follow me on Twitter, you may well have heard of @SBC Takeover. It stands for Sunday Bake Club Takeover. Anyway, I was joining in a Tweet chat with them a few weeks ago and they asked me to join. Me?!!! Each week they have a different theme as to what you should bake. Last Sunday it was vegetables. Yay I thought. Carrot cake is my favourite cake in the entire Universe, easy peasy. You’d think?!!! Since I figured, if I were going to take part, I was going to push myself. Yeah that always seems like a fun idea when you think about it – then you have to do it!! I had a recipe-ish in mind for the cake I wanted to bake – but, it needed some adjustment. 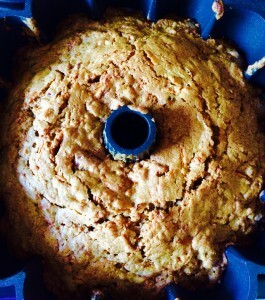 This time I was going to use a Bundt tin, because, erm, it seemed like a good idea at the time. So I fiddled with the recipe, hoping I’d got the right quantities to bake my Crazy Caramel Carrot Cake in my chosen Bundt tin. 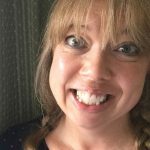 As I was making the cake, carefully photographing each stage, just in case it did work and I could share it with you lovely people, I had a thought. Always, always a dangerous activity for me. 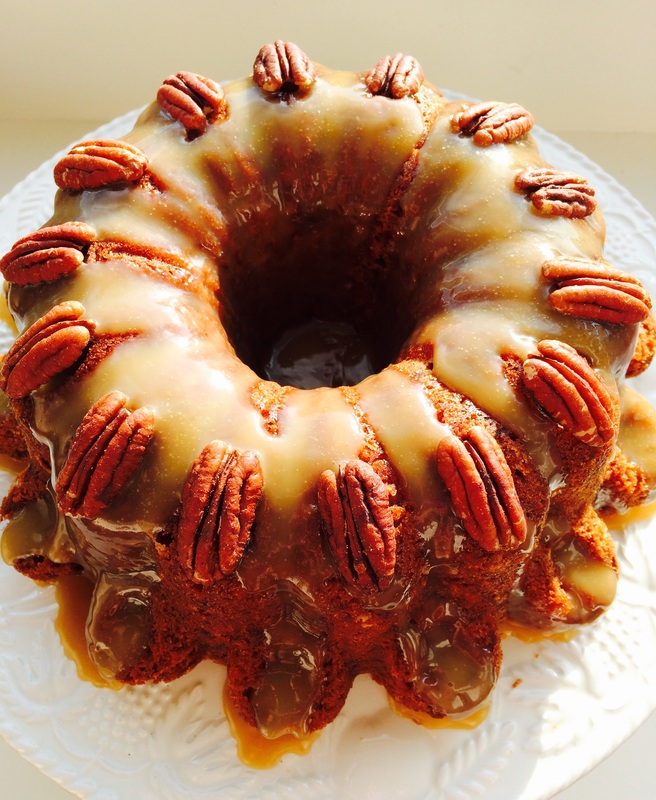 There are Pecan nuts in the cake and it occurred to me that they’d also look nice, if I used them to decorate the cake (assuming the cake turned out – literally, from its intricately designed Bundt tin). All good, but what was I going to ice/frost the cake with? 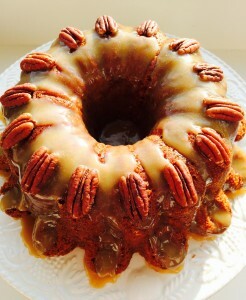 I wasn’t feeling the cream cheese frosting that ALWAYS goes beautifully with carrot cake, I wanted Caramel. Confession time. I. Don’t. Like. Caramel. Really I don’t, so I would be CRAZY to put something I don’t like, on my favourite cake, of all time, ever. Somehow, deep inside, I knew I could get it to work – for me. I know caramel and salted caramel have been done to death over the last few years, but I’d never jumped on that band wagon. Why would I? I don’t like caramel. Or should I say I didn’t like caramel, until I’d made my own. I instinctively shy away from super sweet food, especially icings and frostings. My own, homemade caramel sauce, is a gazillion miles away from the tooth aching, molten sugar of my previous caramel tastings. 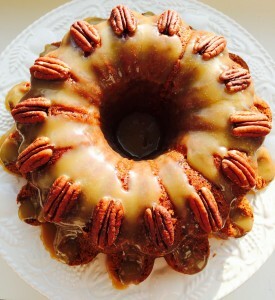 Drizzled over this beautiful Bundt and adorned with toasted Pecan nuts this Crazy Caramel Carrot Cake is the perfect twist on a classic. Bundt pan dimensions are 23.5cm (9″) wide x 11cm (4.5″) deep. The pan holds 3 litres (5.3 UK pints). You could also use a 10″ greased and lined springform cake pan. 200g/7oz Unsalted Butter plus extra for greasing the tin. Method : Preheat the oven to 180C/165C fan. 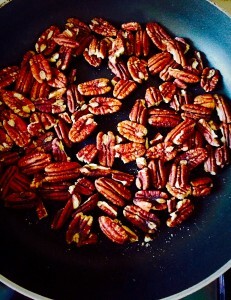 Before starting on the cake batter, you need to toast the pecan nuts. 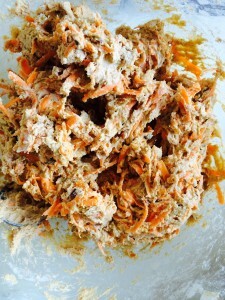 This brings out their flavour and keeps them crisp and crunchy within the cake. 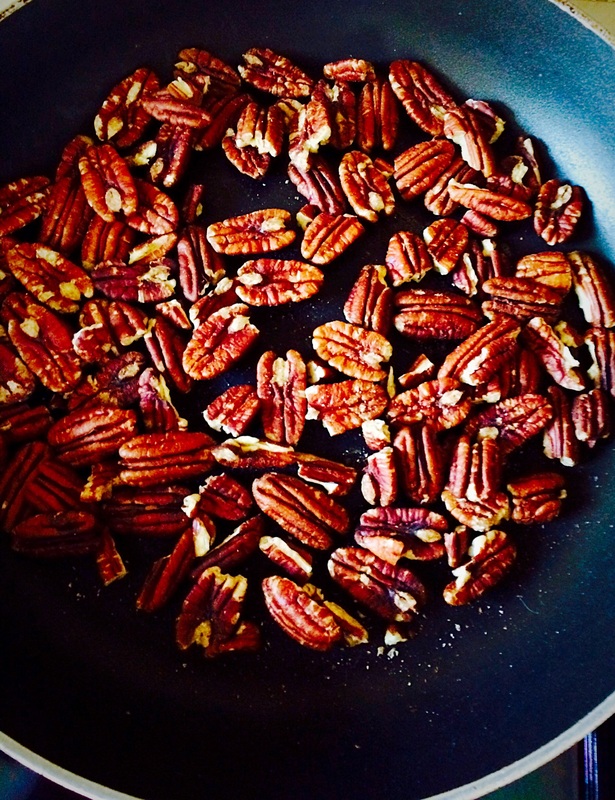 In a dry pan, heat the pecan nuts, gently tossing to ensure even toasting, for five minutes. Set aside to cool. 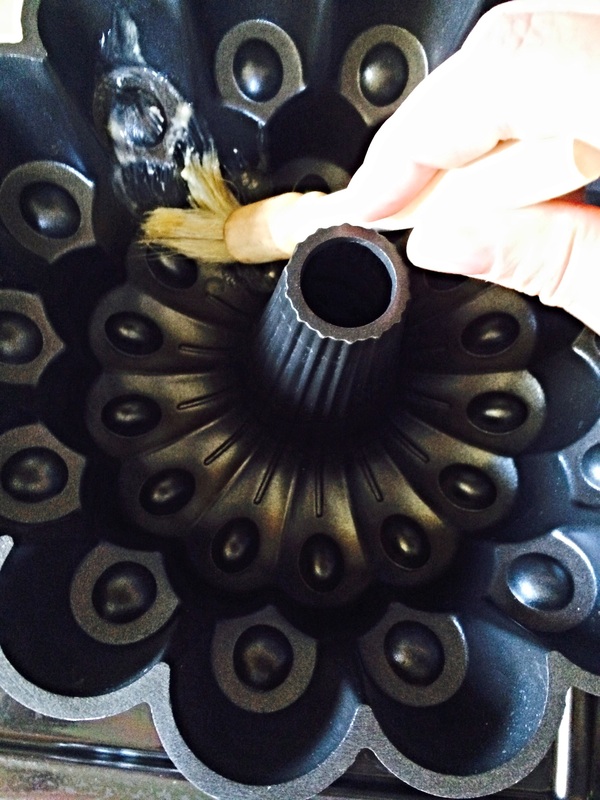 Melt approx 1tbsp of butter and using a pastry brush, ensure the inside of the Bundt tin is completely greased. 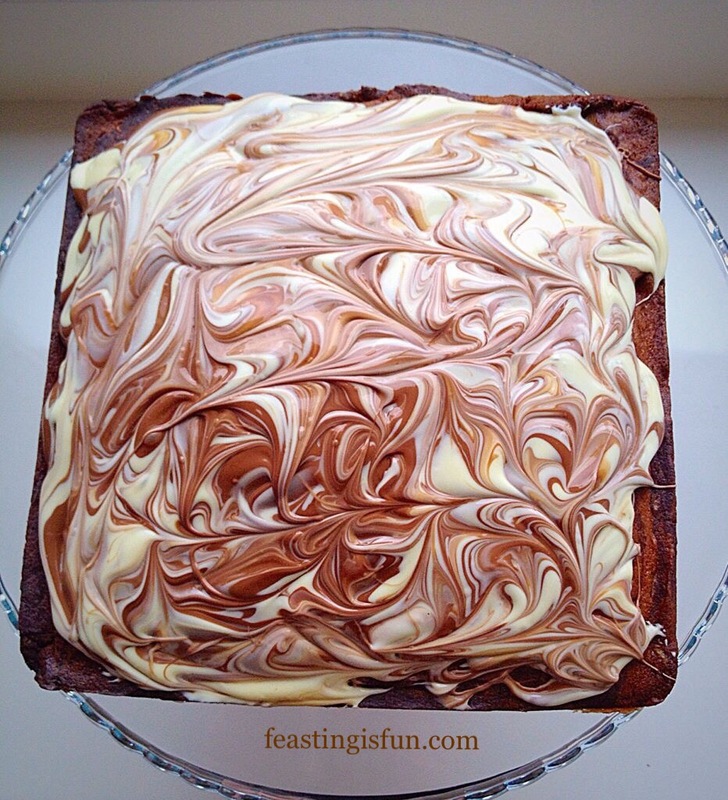 To make the cake, firstly cream the butter and sugar together, until pale and fluffy. Sift in one third of the flour, baking powder, cinnamon, salt, vanilla extract and one egg and mix gently. Repeat this process twice more, adding the egg before the dry mix at the last stage. 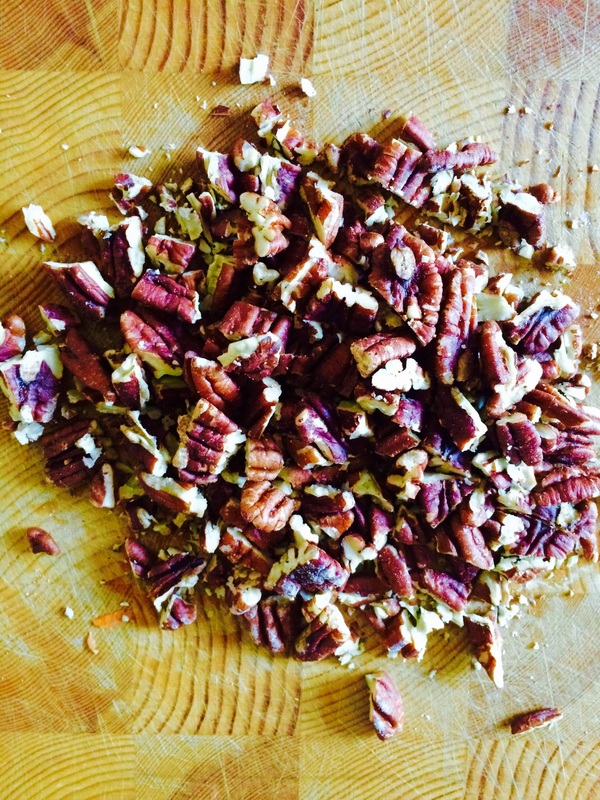 Place 50g of cooled pecan nuts, onto a board and roughly chop. 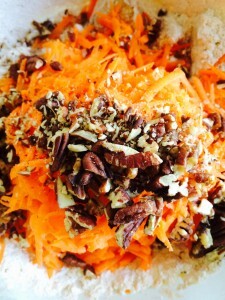 Add the grated carrot and chopped pecans to the cake batter. 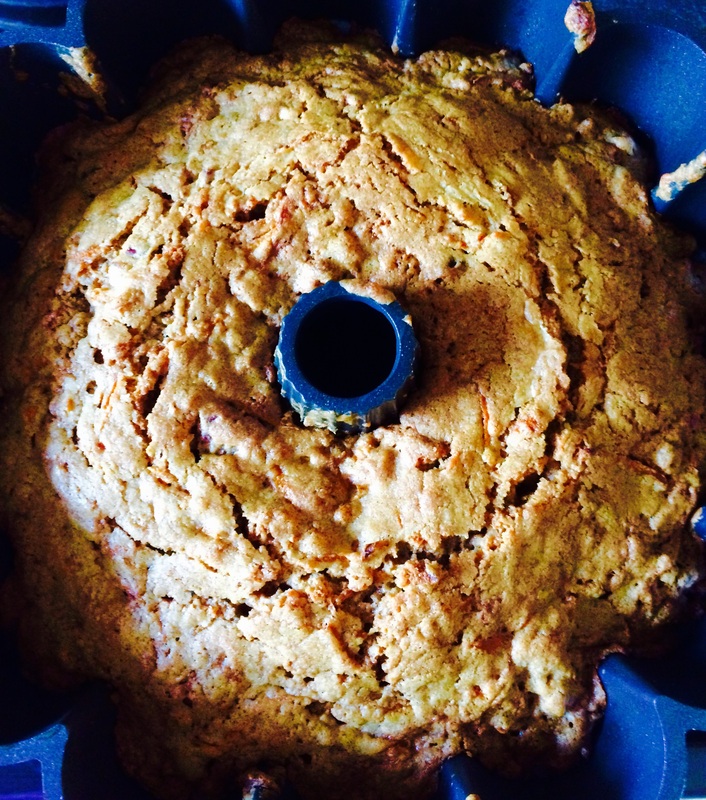 Gently fold in the carrot and nuts until fully incorporated within the cake batter. Spoon the cake batter into the tin, gently pressing down to remove any air pockets. Place the cake in the middle of the oven and bake for 1hour. 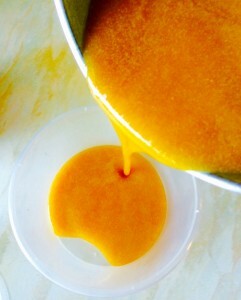 Whilst the cake is baking, make the Caramel Sauce. Place the butter, sugar, cream and vanilla extract in a heavy based pan. 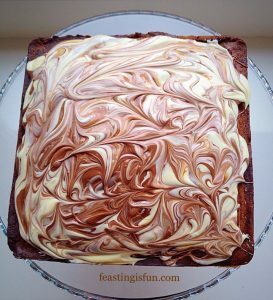 Crazy Caramel Carrot Cake swirl the ingredients over a medium heat. 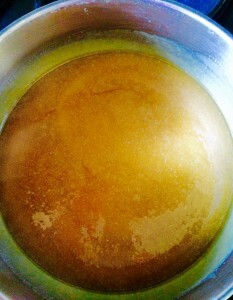 When the sauce is bubbling and golden brown in colour it is done! 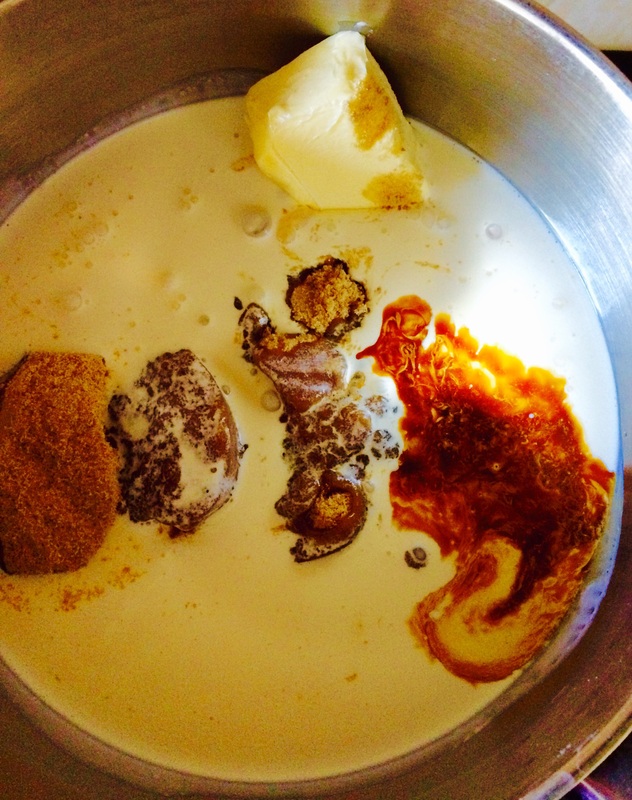 Remember the caramel is very hot, so no dipping your finger into the saucepan!! Crazy Caramel Carrot Cake- decant the sauce, equally, into 2 heat proof containers and set aside to cool. After 1 hour of baking insert a skewer into the deepest part of the cake, if it comes out clean the cake is baked and can be removed from the oven. If not, return the cake to the oven and check at 5 minute intervals. Once cooled turn out your Crazy Caramel Carrot Cake onto a cake stand. 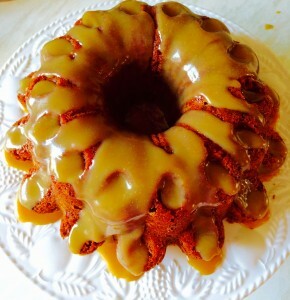 Crazy Caramel Carrot Cake drizzle over the cooled caramel sauce. You will only need half of the caramel sauce. 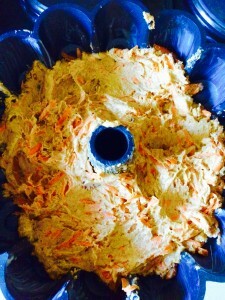 The other half can be frozen, for up to 3 months, or kept in the fridge for a week. Crazy Caramel Carrot Cake now to decorate with pecan halves. 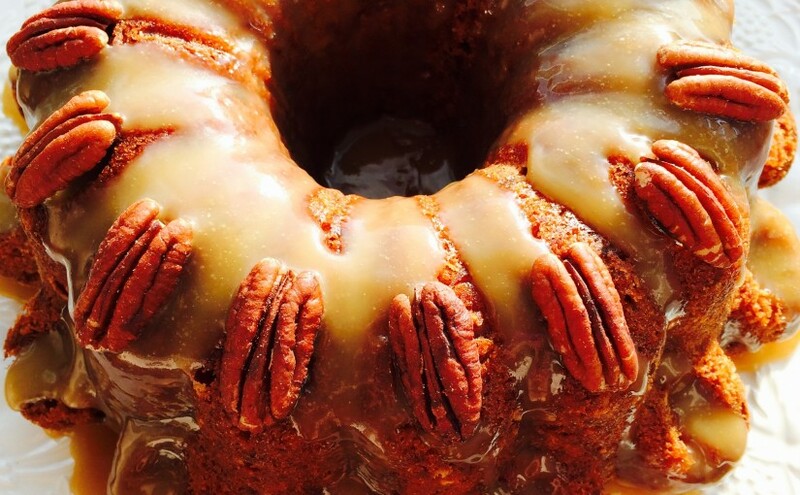 Your beautiful Crazy Caramel Carrot Cake is now ready to serve! You will have to trust me (wink), this cake is not overly sweet. 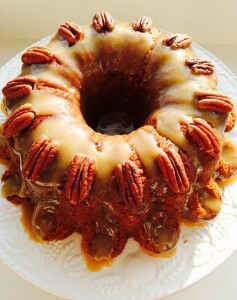 The cinnamon scented carrot cake, with hidden pecan crunch, is perfectly complimented by the delicious caramel sauce. Don’t believe me??? try this for yourself!!! I cannot encourage you enough to make this delicious twist on a classic, Crazy Caramel Carrot Cake. 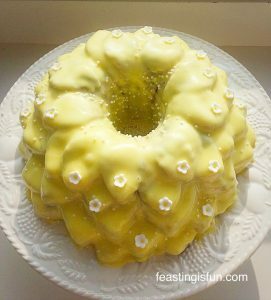 Also this cake is easily baked in an ordinary cake pan. 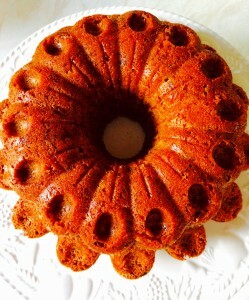 however, if I can encourage you also to obtain a Bundt tin, your baking world will sooo benefit. All that beautiful detail and no extra effort required from the baker. That’s got to be incentive enough. Have you ever disliked a food or flavour and then been persuaded to change your mind? Oh, my gosh, this is one amazing Bundt cake! 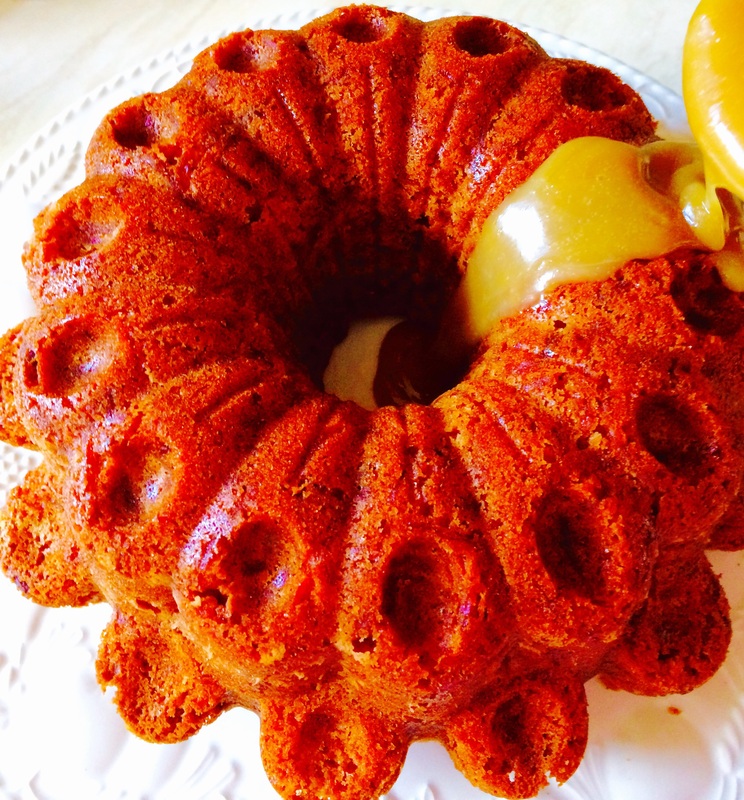 I’ve always loved caramel—you are genius for pairing it with carrot cake! Well done! Really great carrot cake recipe, easy to make and tastes lovely. WOW girlfriend! We are to much alike ..I’m not to much on frostings & caramel either. Both are to be used sparingly but my favorite cake is Carrot! Looks DELICIOUS.